The Science Museum features seven floors of educational and entertaining exhibits, including the Apollo 10 command module and a flight simulator. 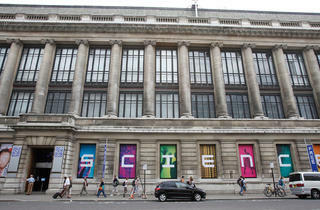 The Wellcome Wing showcases developments in contemporary science, medicine and technology. The Medical History Gallery in the museum's attic contains a substantial collection of medical history treasures. 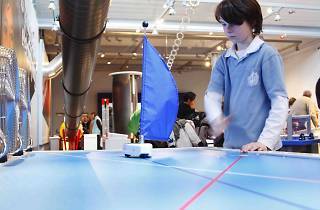 Pattern Pod introduces under-eights to the importance of patterns in contemporary science and Launch Pad is a popular hands-on gallery where children can explore basic scientific principles. Exhibits in the Exploring Space galleries include the three-metre-high, 600kg Spacelab 2 X-ray telescope that was flown on British space missions and full-scale models of the Huygens Titan probe and Beagle 2 Mars Lander. The Clockmakers' Collection, previously held at the Guildhall, will move to the museum on October 23 2015. It's the oldest display of clocks and watches in the world, with most of the 1250 exhibits dating from between 1600 and 1850. 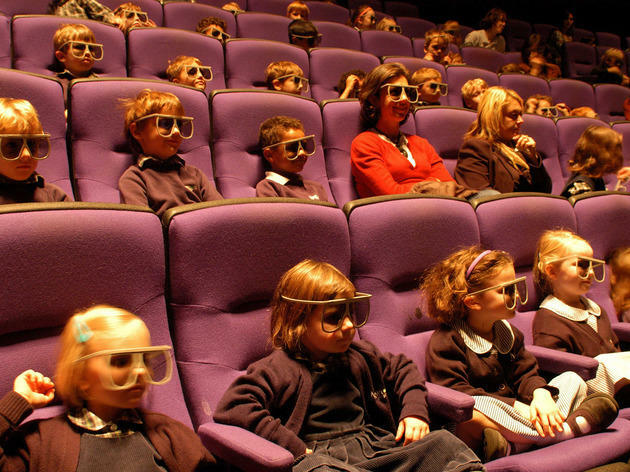 The museum’s in-house IMAX cinema shows scientific films in 3D, allowing visitors to be surrounded by space or submerged in the depths of the ocean. Tickets start at £11 for adults and £9 for children, and booking is recommended. The shop is worth checking out for its wacky toys, while the Dana Centre is the Science Museum’s adults-only centre for free lectures and performance events on contemporary scientific issues (www.danacentre.org.uk). As a relatively new mum I wanted to say that the Science Museum is awesome for babies as well as kids. The place is amazing anyway with the Space section a particular favourite. However The Garden play area is super cool, free and older babies and toddlers can have fun there. There are rubber strand curtains, lots of play areas with huge blocks or play tiles. There is a texture wall with rocks, metal springs and welly boots. 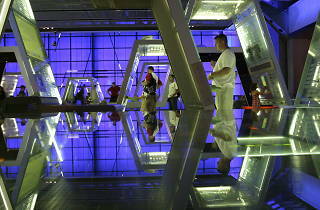 A mirrored wall. And an amazing water stream play area - just bring spare shoes and tops! It's fab - it is one of the few free places you can take a baby and during weekdays it's fairly quiet. The staff there are extremely helpful. Not sure what to do with your kids on the weekend? Take them to the science museum. It's interesting for everyone but it's particularly designed to keep your kids entertained and also educated - what more could you want? 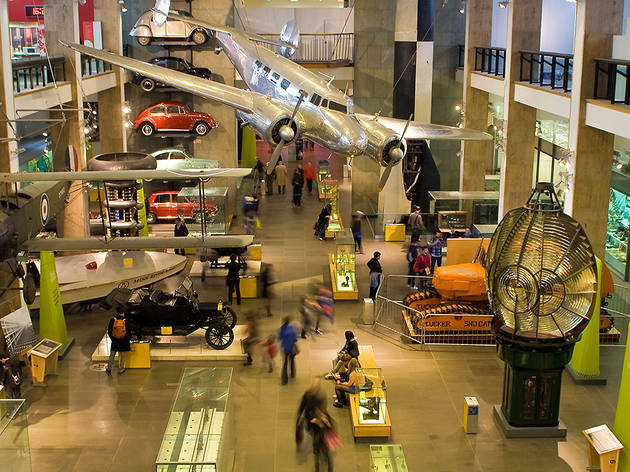 Set in the heart of London the science museum is ideally located to become part of an itinerary of activities, whether it's grabbing a nearby lunch for a London local or as part of a day out for a tourist. Had so much fun here last week! Lots to see and do, and perfect place to take children and keep them occupied for HOURS!!!! The Science Museum is another place you can't get bored of in London. Every time I visit there is another interesting part I discover and dive into which encourage me to do further research (it's never too late to learn, right? ), not to mention the fantastic temporary exhibitions (last year's da Vinci was a great experience). I like that the range of topics are enormous: from physics through maths to psychology and there are a lot of interactive exhibits which help you understand the concepts more. I can't wait to take my students there for a trip! Not a big science-y type person... I'm more of the V & A persuasion, myself. BUT. This place is super cool - I wish we had a museum with the depth and breadth such as this where I grew up! So many interactive exhibits to check out, and lots to learn about how things work, and how we use items in everyday life. 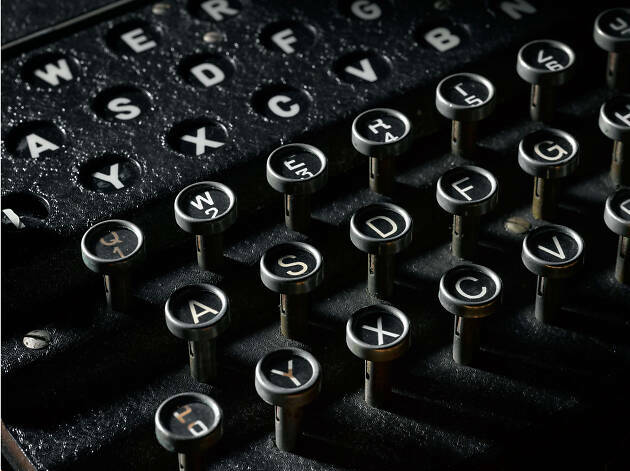 I find it really interesting to take a look at how particular scientific theories came to be and how they're applied in what seems to be such a simple way... so cool. I happened to check out the Robots exhibit the last time I was here - it was really informative and interesting to look t how Robots have really shaped so many facets of our lives! One of my favourite museums in London. Free entry and a lot to do! A great day with the kids or just for the bigs kids inside all of us. With free entry spend endless hours wandering around the different exhibitions and getting involved with the interactive activities. Not just your usual museum experience! 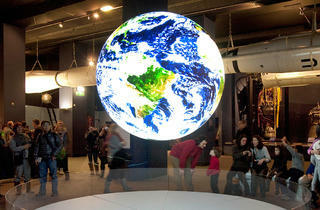 Science Museum (with free entry) is the absolute destination for technology geeks and everyone that loves science. 7 floors with exhibits that range from space & astronomy, medicine, IT technology, transport, flight simulators, telecommunications, clocks & watches collection. It is a place that I have visited so many times and still will go back and spend few hours there. 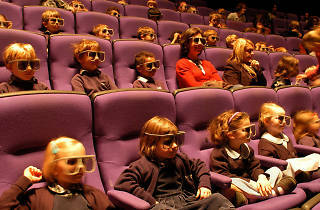 It is also accommodating a brilliant IMAX cinema that shows 3D scientific films. A stop to the ground floor shop is also worth it, as it has a lot of peculiar little gadgets to treat your kids or even yourself. Where should I start with such a grand museum full of inspirational works of tech. It's a scientific, knowledgeable world of science, design and technology. 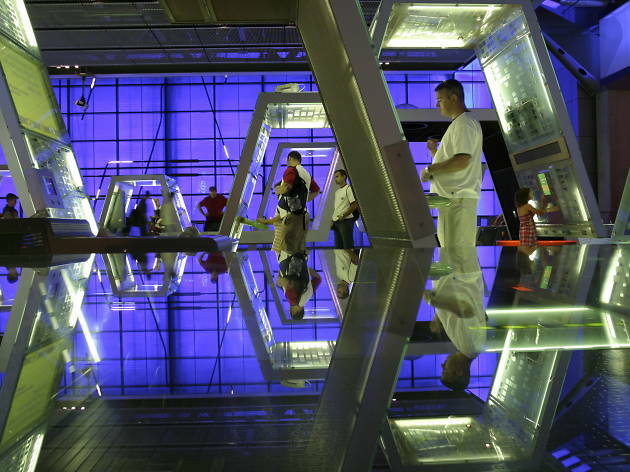 You can literally get lost and spend a whole day in the Science Museum. I went to see WonderLab: The Statoil Gallery. It is such an unforgettable space, the beauty of imagination is so exquisite. It really is a huge wonderland of science and impossibilities that are possible. Be ready to understand why and how this actually happens. It was truly phenomenal to see each and individual exhibit with detail and attention. There were so many pieces that stood out for me. It's difficult to choose one or two. I know wonder more how all this really works. It was extremely interactive and a great learning outcome for everyone to experience. We also had a mini show of how a 'Bubble Volcano' would look like using dry ice frozen carbon dioxide which was just a huge treat. The section of WonderLab that shocked me the most was when I bit my teeth into a straw that was placed within a metal rod. I put my fingers into my ears and I could hear music so clearly traveling in some way. It was unbelievable. I have visited the museum a couple of times and the times I have visited has always been quite hectic. It's always crowded with people from around the world, people with families. The children most especially will love the WonderLab at the Science Museum as it's such a great learning experience for them. 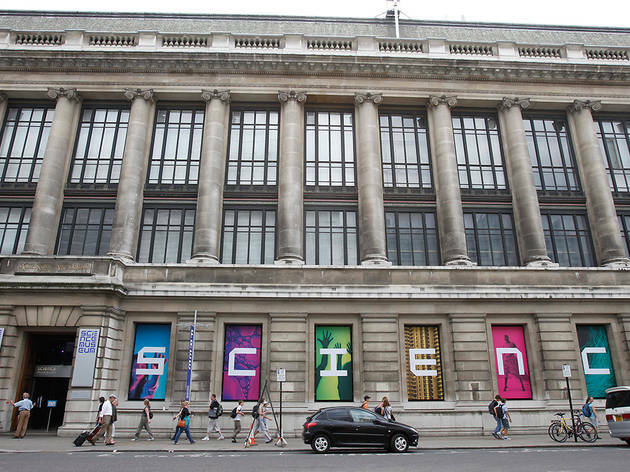 The Science Museum is most probably known for the biggest place of science in London and don't forget it's technological works from around the world. This is an innovative gallery space. Everything from electricity, forces, sounds, and states of matter. You name it. Go and experience this wonder of science at the WonderLab. Went to Wonderlab: The Statoil Gallery for a special late evening. This is a new hands on exhibition which allows you to do and be shown various science related experiments and make science fun. This was an adults only evening, so was nice not to have to stand back and watch the kids enjoying themselves and instead be a big kid for the evening. There are various experiments in different zones with accompanying boards explaining the science bit. We blew on ice to create swirly, steamy clouds, someone with a hoody on stuck their head in a steam machine so they could come out as a headless phantom (Not sure if that was want we were meant to do, but everyone had great fun watching!). 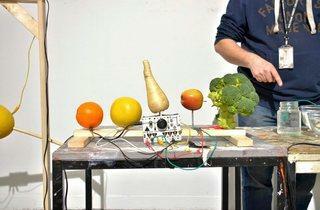 You could easily be occupied for a couple of hours trying out all of the experiments. We were fortunate in that it was a limited entry evening, but it may not be as enjoyable during the day if there are crowds at each exhibit, but that is to be expected at such a popular museum. You don't have to know much about science to enjoy these. I found it interesting to read about how each experiment works, but I couldn't remember any of the technical terms - it's just fun to find out strange things like you can hear music if you bite a straw on through a metal rod, then put your fingers in your ears! It's great to have a place which puts the wonder back in science - and that's what the wonderlab does! There's so many things to play with and to observe. I'm not a teacher, but I could see a lot of different lessons that could be learnt from all of the activities, even as an adult. The people demonstrating were great - really good to get infected with their enthusiasm. It's equally good fun as an adult and as a child. It's interesting to have activities that are fun, beautiful as well as opening up discussions about science. The first thing I saw as I walked in was a display which put dry ice onto water. The little rocks of dry ice skated over the service leaving beautiful fractal wakes in their paths as they sublimated into gas. There are so many other wondrous moments - including learning about resonant frequencies, chaos theory, radioactive decay. It was so nice to have a place to kindle, or relight a passion about science. I went to the fantastic new Wonderlab exhibition which made me feel like a kid on a science trip again! It was great to explore the different zones and remember the fun of learning about science. My favourite parts were the chemistry bar and slides. I won't give too much away and ruin the surprises, but it is a great opportunity to spend a couple of hours remembering that learning about things like sound, gravity and electricity can be a lot of fun! Whoever said science is just for geeks is clearly mistaken, and has obviously never been to the Science Museum. 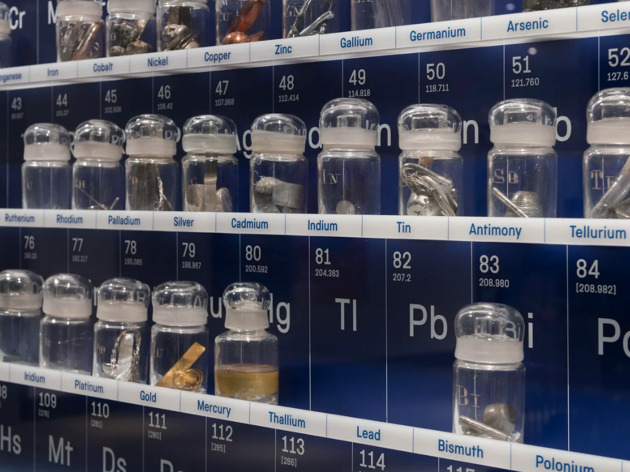 The new Wonderlab exhibition demonstrates how science is involved in everything we see, hear, smell, touch and use, with, as the name suggests, wondrously engaging interactive exhibitions dedicated to light, sound, electricity, space and much more. Experience hearing a song through your teeth, see the vast difference in colour when light is split, create sounds through movement and make shapes with liquid. And if none of that excites you there are three large slides to play on. Wonderlab will appeal to all ages, it makes learning about the world around us fun and proves that science is awesome. As Ron Weasley in Harry Potter famously said, “Wonderlab is BLOODY BRILLIANT.” Ok so I’m paraphrasing, but if he was impressed by Professor McGonagall morphing into a cat, he’d certainly enjoy a few hours in this new exhibition at the Science Museum. This place is like Weasley’s joke shop meets the classroom with fun stuff explaining the science bit to kids and adults alike. I liked the cool fairground mirrors which play with your reflection, the three slides covered in different materials that you can go down in an old sack to see which is faster, the smoky cauldron which is really flowing mist that you can affect by blowing it. There’s also a cocktail chemistry bar AND a super cool water drop photography where a camera captures the exact moment a droplet hits the water. Awesome. The WonderLab is absolutely what it says on the tin. It's a place you go to release your child-like curiosity and ask "how" "why" "what on earth!?". It's so fantastic that they've managed to pair different levels of science (from basic things like "what is friction?" to a cloud chamber!) and what they've made is this amazing interactive fun fair. Absolutely a fun activity for both children and adults - leave plenty of time, even though it's just one floor, it's so jam packed with things to do you'll be there for a while! The new WonderLab exhibit is 10/10! I went last night and have already recommended it to all my colleagues (with kids or otherwise). I love every part of the hands on experience, it felt like being in an episode of Bill Nye the Science Guy! Plan to spend a couple of hours here actually playing with every experiment and taking in the science behind everything. If you'd prefer a more laid back approach, stand at the "science bar" and let someone from the museum take you through some very cool experiments with dry ice and liquid nitrogen. Just visited the new 'WonderLab' exhibition and I have to admit that my inner Peter Pan had a blast and went to bed very happy. Spent nearly 2 hours there non-stop and was amazed by almost everything. If you have kids please take then and if you don't go anyway and you'll have a great day. The new Wonderlab exhibition is fantastic and highly recommended. There are three zones, each with multiple interactive experiments that focus on different elements of science. There are also a few exhibits where science museum staff will put on demonstrations - the chemistry bar is a highlight, especially the bubble volcanos! There are about 50 different exhibits and pretty much all of them are worth your time. A very welcome new addition to the museum. Though be aware that this is a ticketed exhibit that you have to pay for - well worth the money though. Wanting to brush up on your GCSE physics? The new Wonderlab exhibition at the science museum is for you. 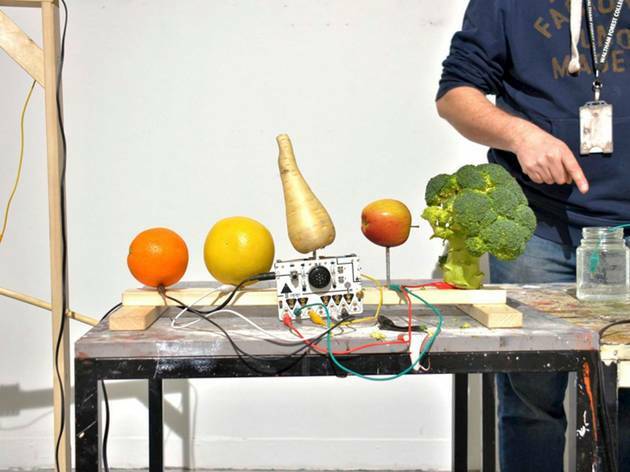 Bringing you theremin bollards, infinity boxes, orbits, particle detectors, magnetic sculptures, pendulum patterns to name a few within their interactive fun new creative lab. Embrace you inner science geek, an adult playground of intrigue and discovery. Visited here by myself one random weekday and it was the highlight of my week. There is so much to learn and also interact with! There's a highlights tour which is quite interesting and lets you in on some knowledge that you wouldn't know otherwise. I actually used some information at trivia the next week, (Neil Armstrong's mum's maiden name was Moon). During the week there's still plenty of people around, especially school excursions, so watch out for that. But it's a great place to spend an afternoon, I loved the Who am I section! This place is for both kids and adults. I could easily spend days in there just exploring the thousands of exhibits. The place is huge and each section is utterly engaging. My favourite would be the IMAX cinema where they show films about space all the time. 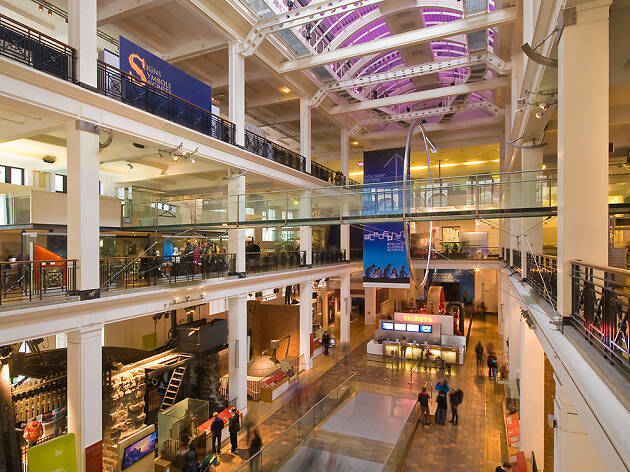 Imagine watching Interstellar the movie on IMAX in the science museum. What a fitting venue and that is exactly what I did! I found myself near to the Science Musuem with a few hours to spare and thought it would be a comfortable way to kill some time.... and how happy was I that I did! Forget going with kids, just go and act like one! So many great exhibits, and so many cool things to pull and push and learn about. Planets! Stars! Electricity! Engines! Bubbles! Space! Rockets! But beware - this place is a child magnet, whether you go in term time (school trip heaven!) or in the school holidays (parents nightmare! ), so take some patience with you. 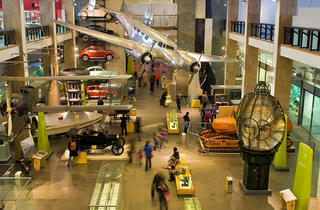 Or alternatively try one of the Musuem Lates nights, which are for big people only! UPDATE - Just been to the amazing Wonderlab exhibition. Lots of interactive experiments to take part in. LOTS of fun for big and little kids alike. Ahhhh the good old science museum ! I recently visited the Science Museum solely to see their new Wounded: Conflict, Casualties and Care exhibition, commemorating the Battle of the Somme. The Science Museum itself (especially the engine and space room) was heaving with children - and it was only Tuesday at 4pm - however the exhibition (which is free of charge) was much quieter. The exhibition, as the name suggests, focuses on the medicine and treatments used during WW1 and how these changed as the war went on due to different fighting techniques (gas/shrapnel/explosives). It is a very sobering read but a brilliant tribute to the extraordinary things they experienced of which people still go through today. Throughout the exhibition there are a vast amount of things on display including a huge collection of medical instruments used at the time, photos of conditions and symptoms and quotes and diary entries from officers/medics. I love this museum! I would not recommend going there on weekends if you are going there as two grown adults. But if you are taking a whole family there, it's fine on the weekends because children can go mingle with the other children. We are a childfree couple, so we spent most of our time wandering in the more quiet sections and a few minutes in the children playing area. Regardless, we didn't mind so much and it's nice to see other children enjoying themselves! It's by far one of the best science museums I've been to, sorry LA science museum! This museum offers historical themes along with a science theme, an example would be the clock evolution theme. If you want to feel old, you can see that all the 90s and 2000s things are displayed as museum pieces now, this includes Google & our smart phones. I have always loved this museum since I was a little kid going on a school trip. Over time it has changed quite a bit, mostly for the better, as they have added more and more exhibits and content. The great thing is that pretty much everything is free (as long as you don't plan on eating at the ridiculously overpriced cafe or seeing an IMAX feature). There are some fun yet educational interactive activities to enjoy too although perhaps not as much as there used to be. Overall, a good day out for pre-teens and up. Every time I visit the Science Museum my inner child takes over. This mostly free museum, situated near to South Kensington tube station, features numerous permanent exhibitions along with an ever changing supporting cast of temporary exhibits. Guests can expect to see planes, trains, automobiles, and a variety of space exploration craft, along with the latest advances in modern science and the major discoveries from scientific history. The museum also features a number of areas designed specifically for children within which they can expend a lot of energy on informative toys, gadgets and interactive learning stations. I would also recommend the IMAX 4D area, although this does come with a cost, which will take you on a journey to the dinosaurs or to outer-space, to name but two. 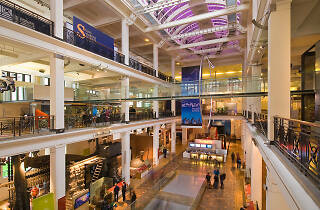 A must visit for all the family, the Science Museum is one of the major attractions in central London. I must for every child, parent and grandparent in London. There is so much to see and do at the science museum so its useful to checkout the website for details on workshops and showings you can sign up to on the day, the IMAX 4D movie-ride experience is probably one of the best in my mature opinion. 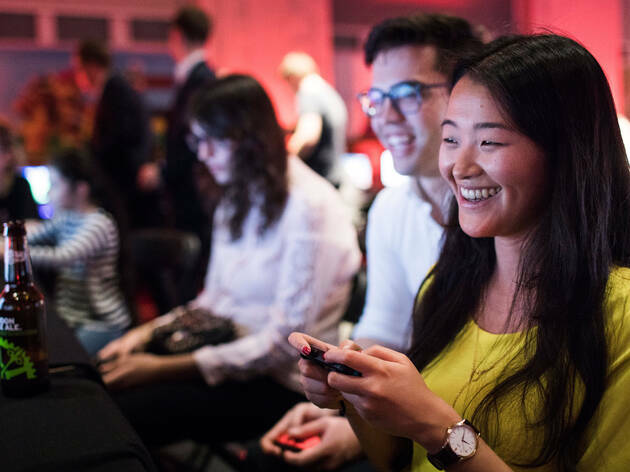 If you are keen on visiting but avoiding the school rush, the science museum lates are a good option - you can even by tickets to a sleep over in the space room. The science museum is just wonderful for so many reasons. We went recently to entertain my friend's 4 year old son. She and her family were visiting London over a long weekend. There's so much to see and do so we focused on first going to the bubble show and then letting him run around in various play areas in the basement. I learned something at the bubble show .. let's see ... No matter what shape of wand, the bubbles are always spherical because they're lazy. Bubbles made with helium gas will rise while bubbles made with carbon dioxide will sink to the floor. The people presenting the bubble show are blessed with levels of patience that seem superhuman and which I could never hope to match. It was a fun day out and my friend's little boy was very happy. He wants his parents to move to London now which I would only have the science museum to thank if it happens! One of my favourite museums in London-free, educational, interactive and fun! As a kid loved sleeping over and then having the museum to ourselves before the public were allowed in and as an adult love the late night events which is a great alternative to going clubbing with friends. Gift shop also stocks lots of fantastic gifts-some too good to give away! I recently went with my partner to see the Leonardo Di Vinci exhibition which included models of some of his greatest inventions including an early example of a diving suit and webbed glove (in place of flippers)! What I love most about the science museum is the lates. Every last Wednesday of the month the museum is open until late for adults to go in and explore particular themes. I’ve been to quite a few now and they are a great opportunity to immerse yourself in the scientific world without tons of kids running around, it is a very relaxed environment as you stroll around with your glass of wine and the best part is that at a difficult time of the month for most, it’s free! Most underrated place in all of London. Why don't people come here more often? There's always something new to discover and learn. Great for adults, children, first dates and Sunday afternoons. When I was a schoolboy my parents would take me to the science museum each year. 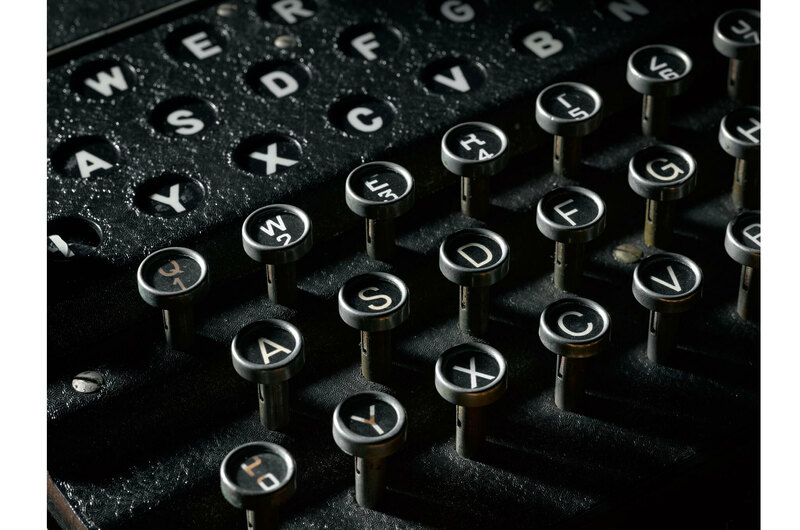 The exhibits presented a fascinating account of the history of technological innovation. I remember highly informative galleries devoted to steam engines, space exploration and aviation. I am sure the museum influenced my career choice and encouraged me to become an aeronautical engineer. Today I returned to the museum expecting to see those familiar galleries updared with the latest audio visual interactive technology. At the entrance to the museum, I was shocked at being asked to make a £5 donation. Most London museums have a collecting box for donations, and I normally make a donation. But to have every visitor stand in line and ask for a donation is tacky. The museum continues to house the treasures which I remember from my youth - Janes Watt's steam engines, Stevenson's Rocket, the Apollo 10 command module etc. but there was no coherent display, no thematic galleries, no informative storytelling. There was simply a confused and poorly presented collection of objects. Some information boards out of date, some so dark it was impossible to read. The confusion was evident right from the start where the famous entrance hall and collection of steam engines is now punctuated by a ticket sales desk, a space capsule made of Lego and a machine for commemorative coins. And of course a large brightly lit gift shop. This should be one of London's great museums. It certainly has objects which would make a great museum. But this museum appears to have lost its way and is poorly curated. Britain is the birthplace of the industrial revolution and we deserve something better to tell that fascinating story to our children and visitors from around the world. Excellent museum with so many different exhibits to see. I took my 4 year old and she particularly liked the space exploration exhibit and the electricity exhibit on the mezzanine floor. Loads of interactive things to do and engaging for all ages. A lot of effort has been put into making this place memorable. Really fun museum and very educational! I used to come here on school trips but its just as fun as an adult. The majority of the museum is free too! They also have interesting temporary exhibitions which are always worth checking out. I remember coming here when I was a kid, and it still hadnt lost its charm when I came back. So educational and super fun! Cant wait to bring kids when I have them myself. Perfect for kids and adults alike; I've always loved science museums (not necessarily learning from them) but the science museum truly is a treat with countless exhibitions and lovely inventions everywhere, mixing history, technology and the future all in one. To me, this is a symbol of what a museum should be: not imposing old building where you tiptoe through large rooms hoping something will catch your attention, but a modern place that presents information in an engaging, well structured and memorable way, ignites curiosity and even after the whole day leaves your hungry for more! I love that Science Museum constantly innovates and really makes science accessible and cool! I even came here for my Birthday - that tells a lot! Robots 3D is one of the new IMAX film, which in itself is an experience, let alone the film! The screen is mind bogglingly large, and is almost imposing in how much it dominates your view and senses. The film itself was less impressive in my opinion: while interesting and offering some insight into some pretty cool robots in the world, it fails to deliver enough insight and information. It's a shame it doesn't really go in depth in the world of humanoid robots, failing to really show how they're being used in practical situations and sticking largely to just interesting test robots that are in labs. It also doesn't make particularly good use of 3D, and could've easily been a standard 2D film and lowered their price tag. Despite that, it's worth taking younger children to if robots are of some interest to them, and would be a fun side activity to do in conjunction with a visit to the museum as a whole. UPDATE: Went to the Wonderlab Museum and I must say -- WOW! Super fun for both adults and kids! THe staff are always wandering around and can answer any questions you may have. My husband was intrigued by the particles being observed skittering across a board so got to ask (and answered to his satisfaction) what was going on there. Such engaging displays brings out the kid in all of us and makes us marvel at our world. I am not sure why the queues are not longer to get into this amazing museum-- but to be honest I am glad because it means I can get in without a hitch. I love love love this place. So much to learn about and see! I really love seeing how far humans have come in terms of tech, medicine, etc. One of the exhibits right now, Churchill's Wizards is especially amazing if you are a a 'war buff'. There always seems to be something going on, be it a talk or exhibition, so the limit really is your time and money. It's always good to get there early to avoid any possible 'rushes'. The cafes are fine for snacks and what not, but I would go outside if you want a full meal. And don't forget to donate--- yes its free but come on guys!! A few years ago i'd have easily given 5 stars to this museum but sadly of late it seems to be going the way that many others are - moving in corporate and theme park technology. There used to be loads more free shows and wonderful actors cropping up as anythiung from scientists from bygone days to pregnant men! They're still here - so i'm told - but lost in the vastness of the museum. I believe 1 actor performance a day with 2 opportunities to see them which is often left off the information boards. There are explainer shows which can be hit and miss but the museum is a fabulous building and will take several days to explore! Currently there seems to be plans afoot to close off certain galleries in order, i presume, to update them? I hope this is the case and that they won't lose much of what is great already. The cafes are ok but too expensive for me hence i take a packed lunch in with me and just buy a coffee - very good by the way. I'm looking forward to the next wonderful science late - a regular adult only evening opening with some fantastic free events (last Weds in every month). I've heard the surreal but hilarious Cockroach tours have disappeared but am hoping not for good. I've not laughed as much in a long time at the sight of my partner running around the museum calling 'Scuttle' dressed in an oversized giant cockroach costume! And all with a serious message about global warming/environmental issues. More of this craziness please! Great museum, especially if you are visiting with kids. It's great to see all the weird and wonderful sciencey things on show for people to enjoy - a great way to get kids more excited by science. I absolutely love the Science Museum because of the way it brings science to life. There are seven floors to explore to your curious minds content. The museum is divided into wings, all showcasing a broad range of topics from contemporary science to technology. The museum is easily reachable from pleasant South Kensington tube station. 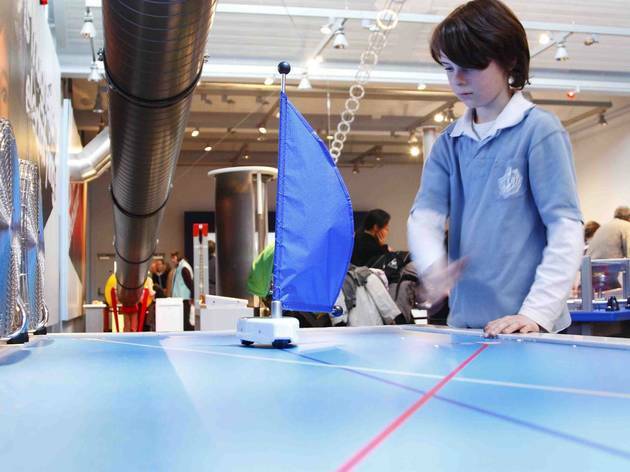 The Science Museum is a great place for everyone of all ages but even more so for kids. 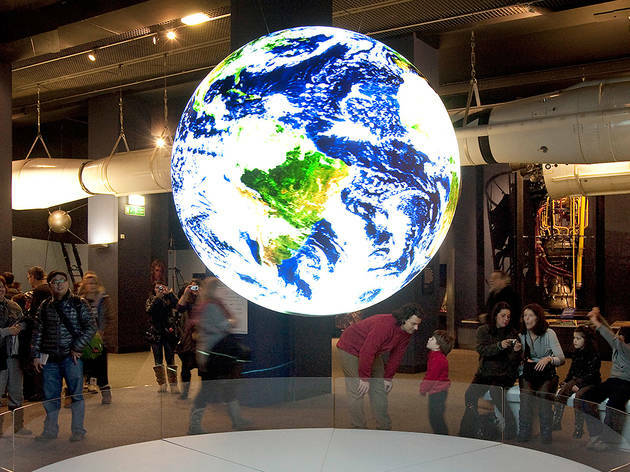 If you're spending time with your kids, there is no place better than the Science Museum to get them inspired. Just when you thought the Science Museum couldn’t get any better comes a brand spanking new gallery, Wonderlab. Wonderlab wants us to learn and explore our wondrous world and its properties by encouraging us to play with science. Boy, does it deliver. It’is stimulating, inspiring and most importantly, has made science super fun. Inside, you’ll discover how gravity and resistance work by hoisting yourself up on a pulley system. You’ll explore the wonders of our solar system from the safety of a slowly rotating roundabout. You’ll see a never-ending myriad of your own reflection from a huge concave fractured mirror. This is just brushing the surface! 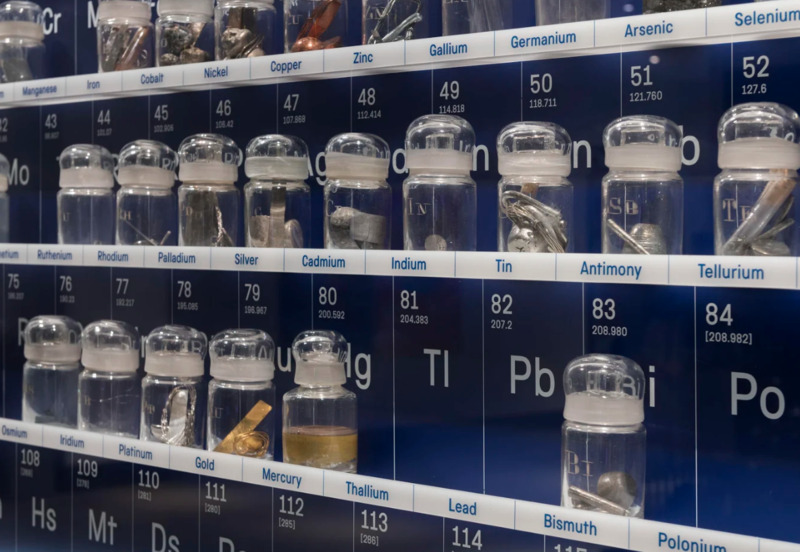 Throughout, you’ll also be treated to live demonstrations from ‘Explainers’, bringing science to life. My personal favourite (and I suspect for many others!) is the Slide. There is no better way to learn and teach kids about the science of friction than sliding down a slide in a hem sack. No harm in bringing out the inner-child in you by going down the slide yourself! Wonderlab is the ultimate playground for adults and kids alike. You can even go alone as an adult. 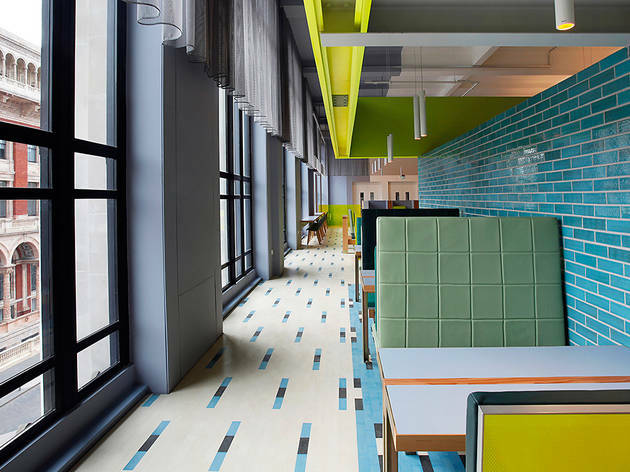 This is one place you won’t be judged on for indulging your inner child. The Science Museum is already one of the best place to spend the day with kids. Wonderlab has just made it even better. You can happily spend hours. I was so immersed, I’d not realised 2 hours had passed and still I’d not seen everything! I’ll definitely be going back. It may not be free like the rest of the museum, but it’s not pricey either with prices starting at £6 for kids. If you do go, consider it a good investment. Who says Science is boring? Science rules! This has to be my favourite museum in London. It was so exciting to take my kids and they loved even more than i did. Such a great place to spend time with the family. There is something for young kids to adults, a great journey through history and workings of science. From the energy hall to exploring space. A must is the kids area where they and you (the grown ups) can have some simple but highly rewarding fun through interactivity. The shows and exhibitions continue to grow and delight. Our kids remember it and as do we each time we go. On a rainy day this is one of the best spots to take your children. 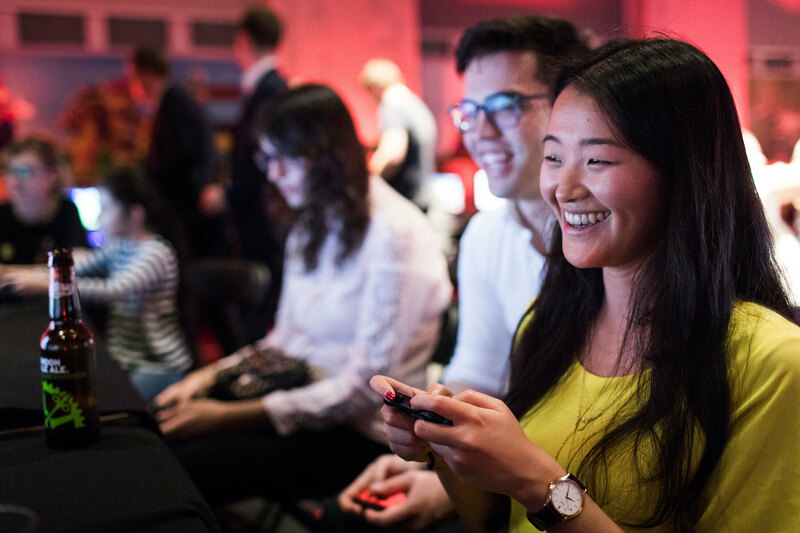 Start from the Launchpad on the top floor with its games/experiments, a good ice cream bar, and space for your packed lunch. Then head down to the ground floor and visit the space section and trains and cars. 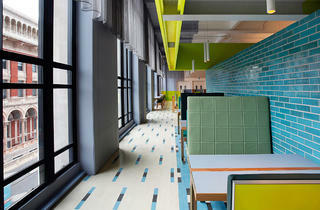 Finally, head down for the basement, where you will find more playing/experimenting in the children play area. In the basement they also do regular free children shows, including the bubble show - always a hit.